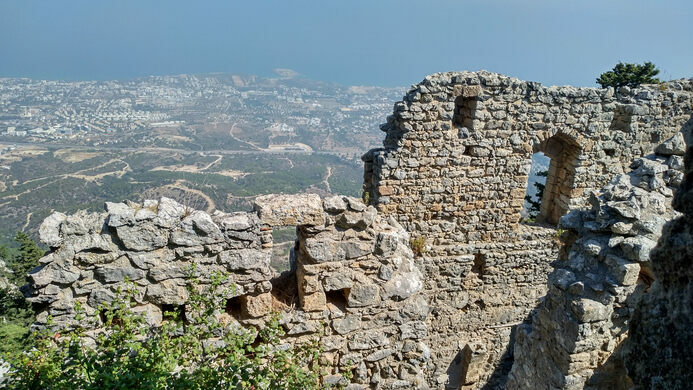 The castle sits near the pass from Nicosia to Kyrenia, just off the main road that now connects the capital with the port city on the north shore of the island. 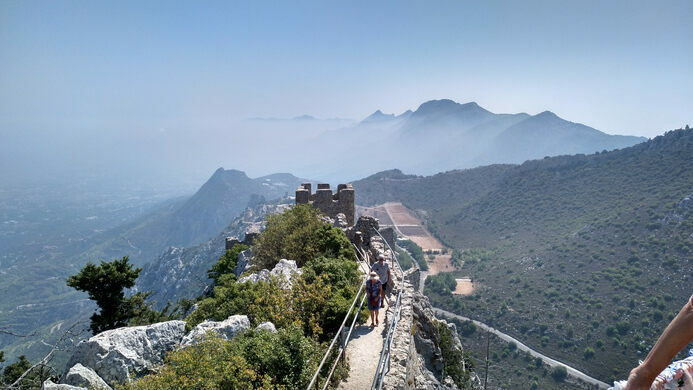 With the high Kyrenia mountains separating the seaside from the central plain, the castle provides an impressive view of the city and the narrow strip of land between the mountains and the Mediterranean. For almost 2000 years this church has been waging war on local snakes by importing cats. 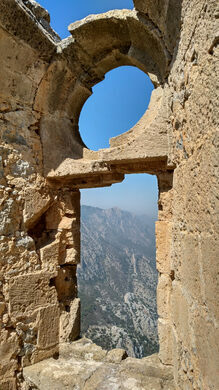 Like many other places in Cyprus, the castle has changed hands frequently. Built by the Byzantines, it was enlarged when the House of Lusignan ruled Cyprus. By the time the Venetians took control of what is now Kyrenia, troops had withdrawn from the castle and parts of it were dismantled. The castle itself sits high atop a mountain range, with three main defensive units at different elevations. One of the castles outer walls is still very well preserved and provides a perimeter to this day. Many areas of the former living quarters and towers at the lower levels showcase the original size of the fortification. Legend has it that a group of hired Bulgarian mercenaries for John of Antioch were thrown from the tower for alleged treason. Today, a friendly cut-out knight congratulates you on reaching the top. The castle remained quiet for years, until the 20th century. 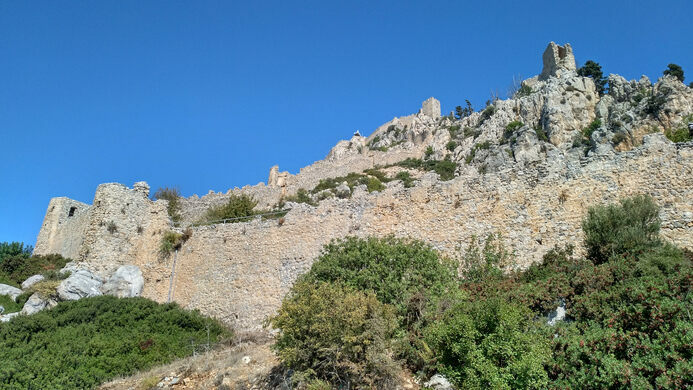 In 1974, during the invasion of Cyprus by Turkish troops after a Greek-led Coup d’État, the castle was the site of a battle near the pass between Kyrenia and Nicosia. Make sure to wear adequate footwear, not all areas of the castle are level and you are occasionally walking on rocks with centuries of wear and tear. While the castle is at a higher altitude, make sure to bring protection against the sun, there are many sections without shade. There is also a small café/shop near the entrance.